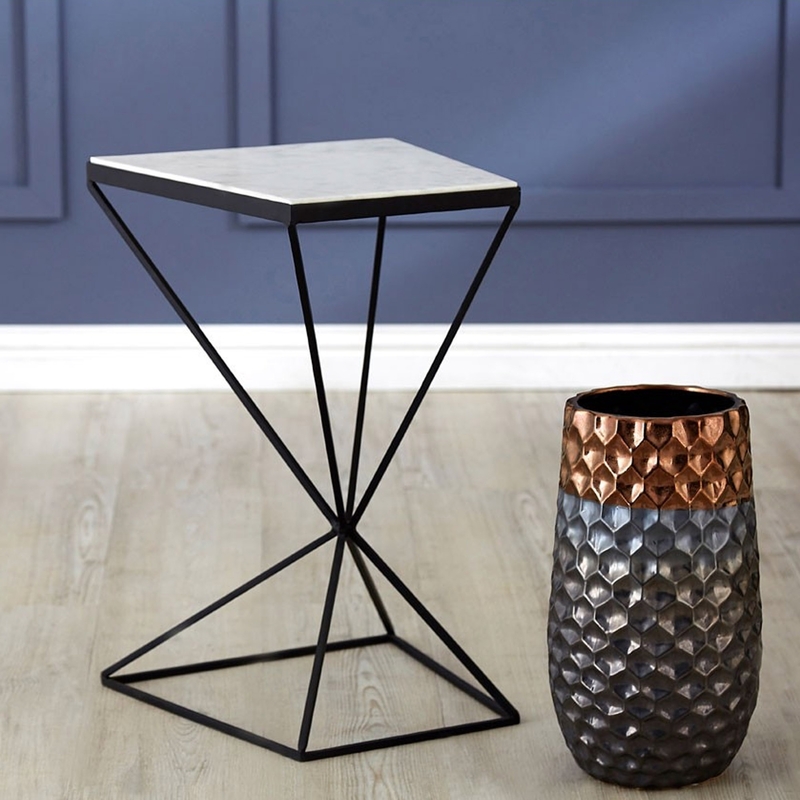 We are very proud to introduce this gorgeous Shalimar Trapezoid Side Table. It has an astonishing design which looks very modern and is inspired by an art-deco style. The unique design is sure to grab eyes, stand out whilst also tying any room together nicely. This beautiful side table is created from Marble and Iron.